Consigned by Four Star Sales as Hip 181, the Orb filly is out of the Forest Wildcat mare Fashion Cat, who is a half sister to grade 1 winner Peace Rules and stakes winner Wild Fashion. 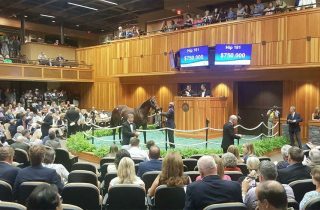 The operation’s purchases were topped by Hip 163, a $700,000 son of Spendthrift stallion Malibu Moon. 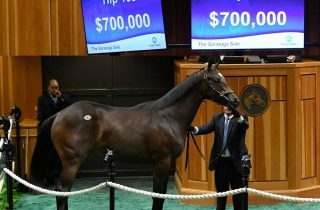 Offered by Four Star Sales, the Pennsylvania-bred bay is out of the Street Cry mare Cloud Jumper.